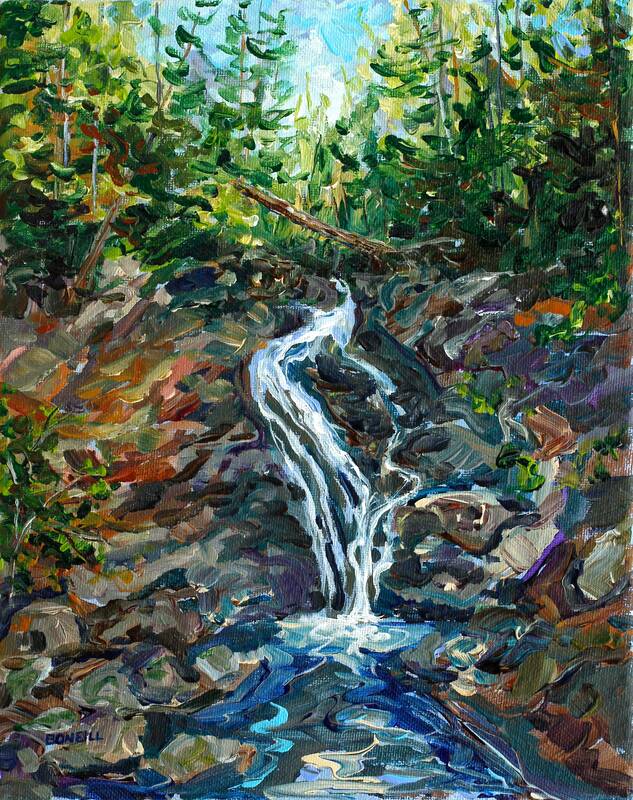 This is a giclee print of Jacob's Falls, found in the upper Keweenaw peninsula of Michigan, on Sand Dunes Dr, Eagle River! These beautiful falls are located right off the road near the famous 'Jampot Bakery' run by monks on the shore of Lake Superior. (You must visit if you adventure into the Keweenaw) This main drop is visible right from the road, a tall slide down smooth rock that pours from an impressive cut above. If you are adventurous willing to climb, you can follow the creek up to find more falls! The original was done with acrylic paint on 8x10 canvas - it might still be available! Please contact me for details. Your choice of a high quality giclee print on fine art paper or gallery wrapped canvas. More sizes available upon request! Gallery Wrapped Canvas prices - Gorgeous, looks like you own the original painting! Can be hung with or without a frame.